The lake is an area of active volcanism that has shaped the landscape which is often described being on another planet. This is especially true for Lake Mývatn and its surroundings. Mývatn is the fourth largest lake in Iceland, covering 36.5 square kilometers or approximately 14 square miles. It is situated at 277 meters (908 feet) above sea level, very indented and with more than 40 small islands. 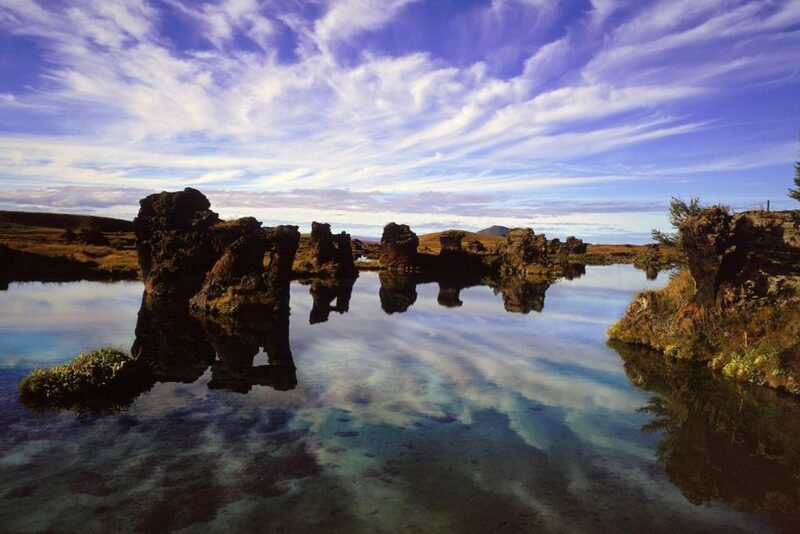 Mývatn is shallow, with a maximum depth of only about 4 meters. The Mývatn area is home to more species of ducks than any other place on earth, with a very diverse bird life in general. Mývatn’s natural beauty is unique and unparalleled. A large stream of travelers visits Mývatn in the summer, but many believe the lake and its surroundings to be no less impressive in the wintertime. A few places around Mývatn have a particular attraction for travelers, such as the pseudo-craters around Skútustaðirv the strange formations of Dimmuborgirv Grjótagjá cavev Myvatn Nature Bathv Hverir geothermal field east of Námaskarð ridge Viti crater with a green lake inside of it Leirhnjúkur lava field/Krafla caldera. If you want to learn more about Mývatn region, please look at: www.visitmyvatn.is. One of the most spectacular waterfalls in Iceland located on the Skjálfandafljót river in the Mývatn district. 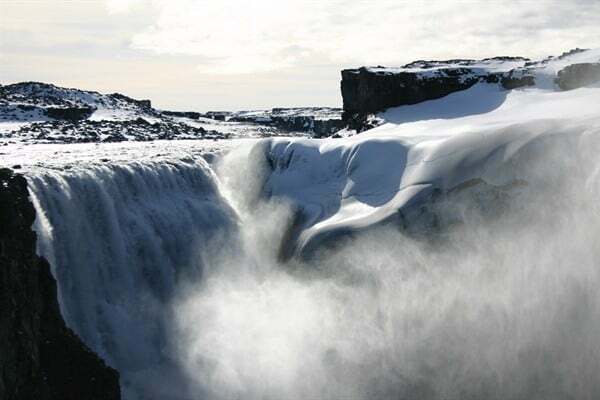 The name of the waterfall has to do with the Icelandic history. Somewhere around year 1000 the Viking and lawspeaker of the Icelandic parliament – Þorgeir Þorkelsson Ljósvetningagoði – made Christianity the official religion of Iceland. 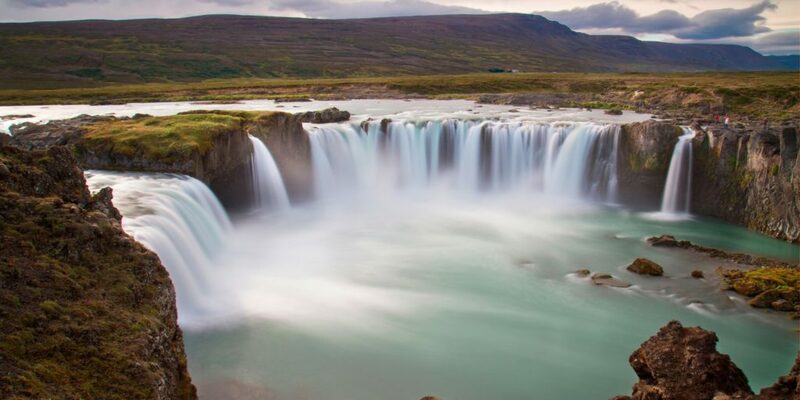 After his conversion it is said that upon returning from the parliament, Þorgeir threw his statues of the Norse gods into the waterfall, for which it is now known in Icelandic as Goðafoss, the “waterfall of the gods”. Dettifoss is Iceland’s greatest and most majestic waterfall. It is situated on the Jökulsá á Fjöllum river, which flows from the Vatnajökull glacier and collects water from a large area in Northeast Iceland. It is also rated as Europe’s most powerful waterfall in terms of volume discharge. Dettifoss is 45 metres in height and 100 metres wide. The average flow is 193 cubic metres per second but during floods it reaches up to 600 m3/s. Dettifoss enormous power can be felt if you lay your hand on a rock close to the waterfall, it vibrates! 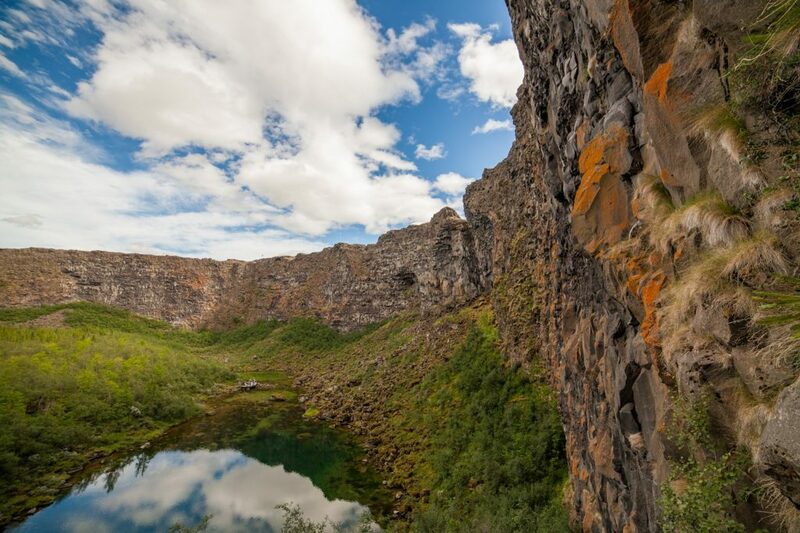 Ásbyrgi is undoubtedly one of Iceland’s most fascinated wonders of nature. The canyon measures approximately 3.5 km in length and 1.1 km across and is a part of Vatnajökull National Park. Ásbyrgi was most likely formed by catastrophic glacial flooding of the river Jökulsá á Fjöllum after the last Ice Age, first 8-10,000 years ago, and then again some 3,000 years ago. The river has since changed its course and now runs about 2 km to the east. The legend explains the unusual shape of the canyon differently. It is said that the canyon was formed when Odin’s eight-legged horse, Sleipnir, stepped down here leaving its giant hoof print. Húsavík town has become the whale watch capital of northern Europe due to whales of different species that frequently enter the Skjálfandi bay. There are two whale watching companies in the town, North Sailing and Gentle Giants, offering several guided boat excursions. 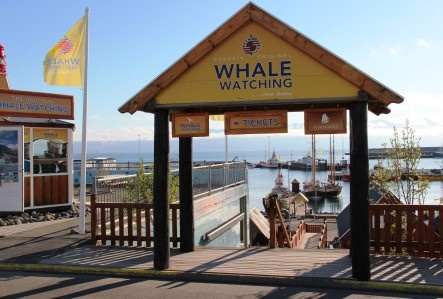 You can even have more fun if you go to the Húsavík Whale Museum – world class centre with stunning exhibits – located in the downtown by the harbor. We would like to recommend you to take a drive north out of Akureyri over road 1, in the direction of Reykjavík. After 10 km, turn right onto road 82. This beautiful road lies along the shore of Eyjafjörður fjord, and brings you to Dalvík, Ólafsfjörður and finally Siglufjörður village. The goal is to discover four Icelandic road tunnels what is an unforgettable, once-in-a-lifetime experience. 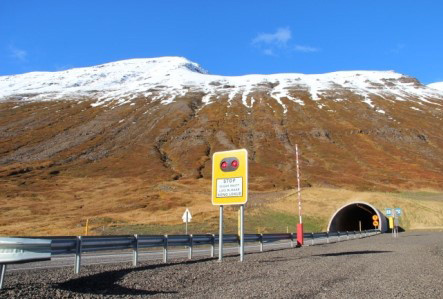 Before you arrive to the Ólafsfjörður village you will drive through a 3,4-kilometer long Múlagöng tunnel. Then you will drive through the Héðinsfjarðargöng tunnel. Héðinsfjarðargöng are in fact two tunnels, a 7,1-kilometer long tunnel between Ólafsfjörður and Héðinsfjöður fjord, and a 3,9-kilometer long tunnel between Héðinsfjörður fjord and Siglufjörður. Between the two tunnels in Héðinsfjörður fjord there is a pit stop where travelers can park their cars and enjoy the view. Finally, driving through the Siglufjörður village, you will discover the oldest Icelandic tunnel, a 800 meter long Strákagöng. 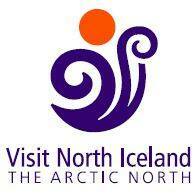 You can see more travel tips and information at North of Iceland’s home page, northiceland.is.